Deep water, no-bridge access to the Gulf of Mexico is what has made Aqualane Shores a true destination for avid boaters. Aqualane Shores waterfront homes are ideal for boaters, who will appreciate the deep wide-water canals that allow docking directly on the property. Deep water, no-bridge access to the Gulf of Mexico is what has made Aqualane Shores a true destination for avid boaters. Outdoor enthusiasts of all descriptions will enjoy the ample opportunities for walking, running, cycling and beach activities. 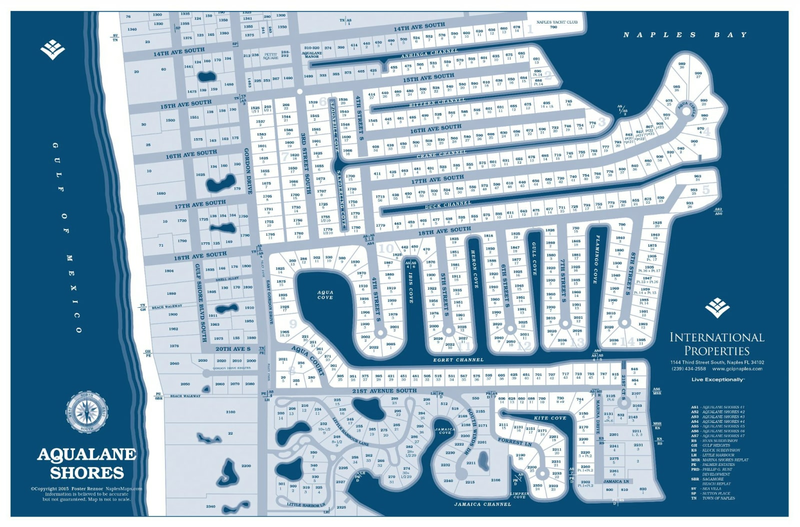 Encompassing nearly 300 acres, Aqualane Shores real estate is comprised of more than 350 homesites within the city limits of Naples. Development began in the late 1950's, with homes dating back to the early 60's and 70's. As a result, Aqualane Shores has undergone an extensive redevelopment and is now the backdrop to some spectacular waterfront estates. 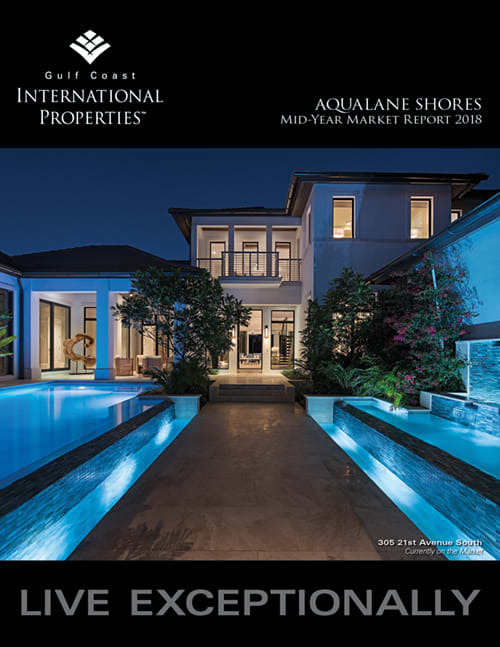 Be sure to read our Aqualane Shores Mid-Year 2018 Market Report by clicking on the image. Click on the map to view a larger image. Discover Naples luxury real estate with premier realty firm, Gulf Coast International Properties. © 2019 Gulf Coast International Properties. All Rights Reserved. Naples Luxury Real Estate Professionals.